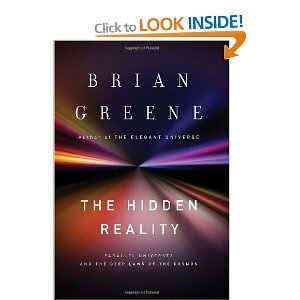 Greene, one of our foremost physicists and science writers, takes us on a captivating exploration of these parallel worlds and reveals how much of reality’s true nature may be deeply hidden within them. And, with his unrivaled ability to make the most challenging of material accessible and entertaining, Greene tackles the core question: How can fundamental science progress if great swaths of reality lie beyond our reach? Sparked by Greene’s trademark wit and precision, The Hidden Reality is at once a far-reaching survey of cutting-edge physics and a remarkable journey to the very edge of reality—a journey grounded firmly in science and limited only by our imagination.